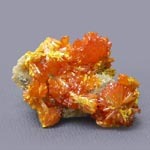 Orpiment, Golden Earth, sulfide of arsenic. Glance (glitter, glare) mother-of-pear nacreous, fat, in thin plates transparent. Colors: golden-yellow, gold, orange. A line is yellow. Fracture, break padman. Cleavage very perfect absolute. 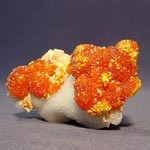 Be found in volcanogenic-hydrothermal deposits with a realgar, cinnabar and antimonite. Crystals (monoclinic Crystal structure) are rare. Usually fissile, scaly or earthy aggregates. Important ore of arsenic. Deposit minefield mine field occurrence subsoil: in Switzerland, Greece, Turkey, Iran, USA, CIS (Caucasus, Middle Asia). From Latin of aurum - gold and pigmentum is a paint. Chemical composition (chemistry, compound). Arsenic (As) 61%, Sulphur, Sulfur, Brimstone (S) 39%. Aggregates. Grainy, tabular, lentiform, widepole, radially-radiant. Crystalline structure. Stratified molecular lattice the layers of which are disposed parallell axes p. Form of crystals. Tablitchatye, short-prismatic, very well formed. Cleavage. Perfect on the lateral verges of prism (010). 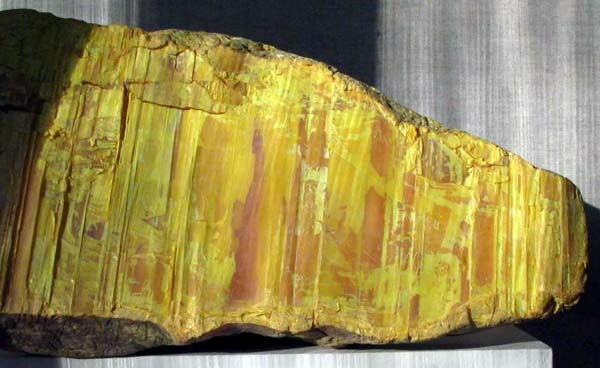 Forms the prismatic crystals of considerable sizes shortly (5 and more than sm in length). But usually be found as aggregates of fissile, columnar, basaltiform, branchy structure, and also grainy the masses. 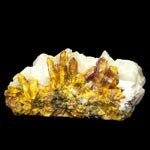 Orpiment, Golden Earth has golden-yellow, gold color, in crystals rather orange-yellow, gold. On the surfaces of cleavage brilliance is resin and mother-of-pear nacreous. A mineral is enough heavy, but soft. 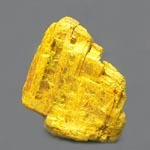 A yellow mineral consisting of arsenic trisulphide in monoclinic crystalline form occurring in association with realgar: it is an ore of arsenic. Formula: As2S3. Excellent cleavage is characteristic, with dividing into the thinnest transparent flexible plates. Easily melt fuse on coal, giving a white raid; in a glass kimberlite tube forms an arsenic mirror. In acids will Dissolve a behavior in an aquafortis and aqua regis (chloroazotic acid); selected here Sulphur, Sulfur, Brimstone emerges; in caustic potassium will dissolve without a remain. 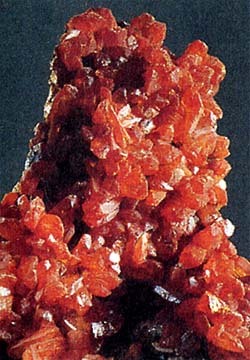 Appears in hydrothermal vein, lode, mines at low temperatures, in volcanic fumarole and as a product of weathering of other minerals of arsenic, especially realgar. 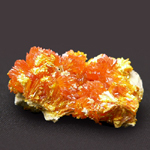 In Italy of Orpiment, Golden Earth be found in many places, in a few and always in an association with a realgar. Used for the receipt preparation of arsenic. 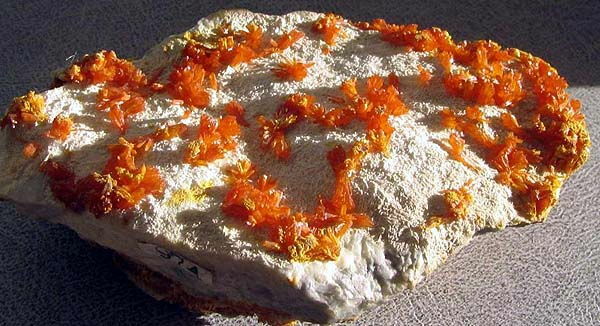 Orpiment, Golden Earth. Men-Kule, Yakutia, Russia. Fragment of crystal ~30 sm. A photo: © A.A. Evseev. Orpiment, Golden Earth. Elbrus, Sitting down. Caucasus, Russia (CIS). A photo: © A.A. Evseev.